It’s Google week. We’re hours away from Google unveiling its next generation Pixel smartphones, a new laptop, an Amazon Echo Show competitor, a Google speaker, and several other products. What excites us more than anything is the Pixel 2 smartphones. 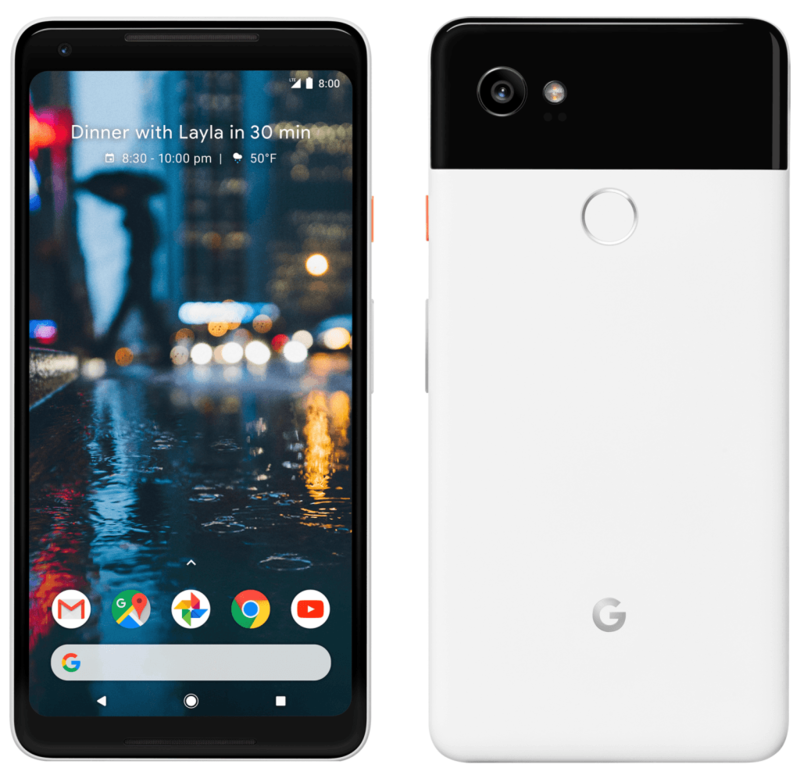 As it was rumoured earlier, Google is rumoured to launch two Pixel smartphones this year as well- Google Pixel 2 with codename Walleye and Google Pixel 2 XL codenamed as Taimen. The trusted leaker, Evan Blass today leaked a few high-resolution images of both the smartphones. Up until now, we’ve seen both the devices from the rear, and these new images give us a glimpse at how the devices are going to be. From the start, it’ said that the Pixel 2 will be made by HTC, and the Pixel 2 XL by LG. 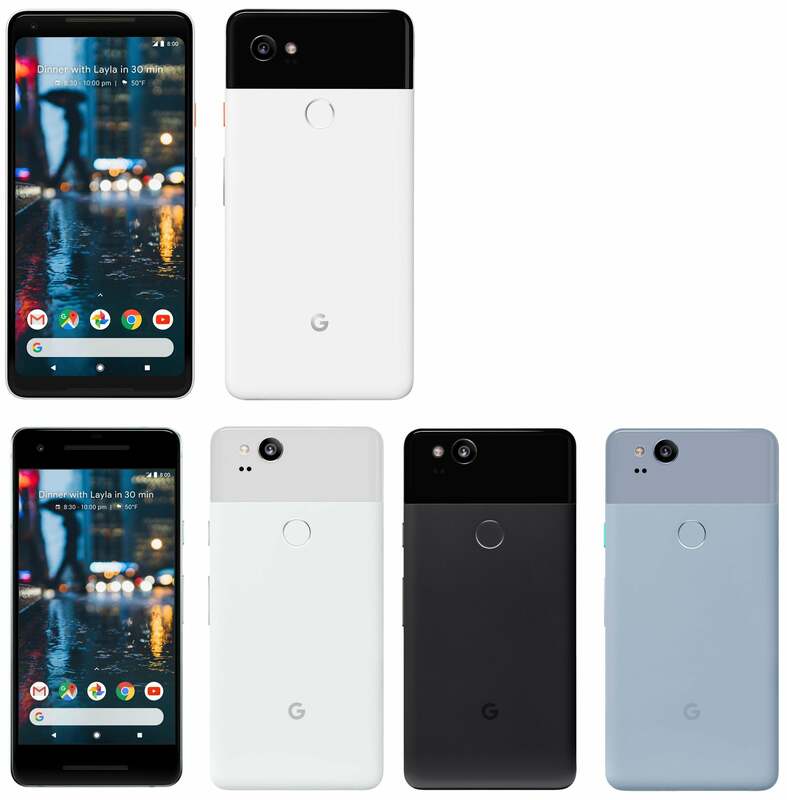 The new and final design also reveals that the Google Pixel 2 will sport the similar Google Pixel design with bezels on top and bottom. And the Google Pixel 2 XL will be in-line with most of the 2017 flagship smartphones with an 18:9 display and thin bezels on top and bottom. However, the noticeable aspect in both the smartphones is the front-facing stereo speakers. Yes, Google is adding dual front-facing speakers in both the Pixels and the design kind of resembles the Google Nexus 6P. Coming to the Google Pixel 2 XL, it is rumoured to sport a 5.99-inch QHD+ display with an 18:9 display. Also, as you can see in the image, the device has a revamped Pixel launcher, which a few people experienced at the Google I/O 2017 event in May this year. The Google Search bar is moved to the bottom, below the navigation keys and the top now shows your upcoming activities in next 30 minutes. That said, you might now have to be worried about how many you’ll be pressing the search bar instead of navigation keys. The hardware side of things, both the smartphones will be powered by the Qualcomm Snapdragon 835 chipset, mated to 4GB of RAM. The smartphones will feature upgraded 12MP single camera setup at the back. Google is not going with a dual camera setup in both the smartphones, instead, the company will be adding some special modes such as Portrait mode to achieve bokeh effect in the images with software processing. Lastly, the pricing and availability of both the devices also revealed by Evan Blass. 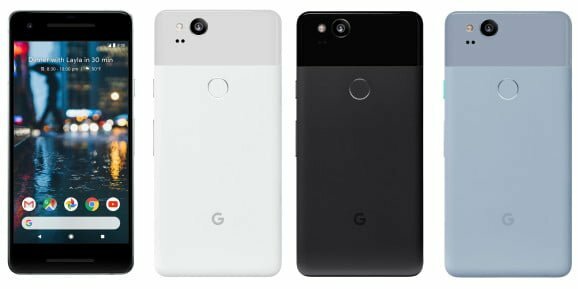 The Google Pixel 2 will start shipping from October 19, whereas the Pixel 2 XL will be shipped from November 15, which is more than a month from the official launch. As far as the price is concerned, the Pixel 2 will start from $649 for the 64GB option and goes all the way up to $749 for the 128GB variant. The Pixel 2 XL’s 64GB variant costs $849 and a staggering $949 for the 128GB variant. It is approaching Apple pricing territory. But iPhone gives 256 gb for similar price compared to Pixel’s 128 gb.